just Debts and Funeral Charges be Honestly Paid and adgusted. Shall have as much of my Husel good and Kidchen for?????? t is ?????? my ?????? ??? ??????? ???????. ??? ?? ????? A ????? ?????? ?? ?? ???? ?? ???????? ?? ???? ????? ???? ??? turing Her Natural ^Life^ and after Her deceased the ???? ????? years after My deceased. My Grand ???? ????? ????? ???? ????? ??? or his Executors thel he the said Peter shall ?????? ??? ??? Estate Executors of this My Last Will and Testament. 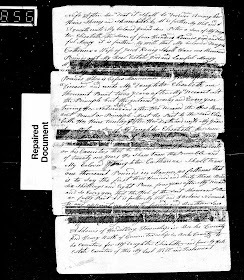 The presence of the tape obscuring several lines of the handwriting on all three pages severely hampers understanding of the details of the legacies.In addition, the spelling ability of the person writing this will for George Ruth doesn't help. 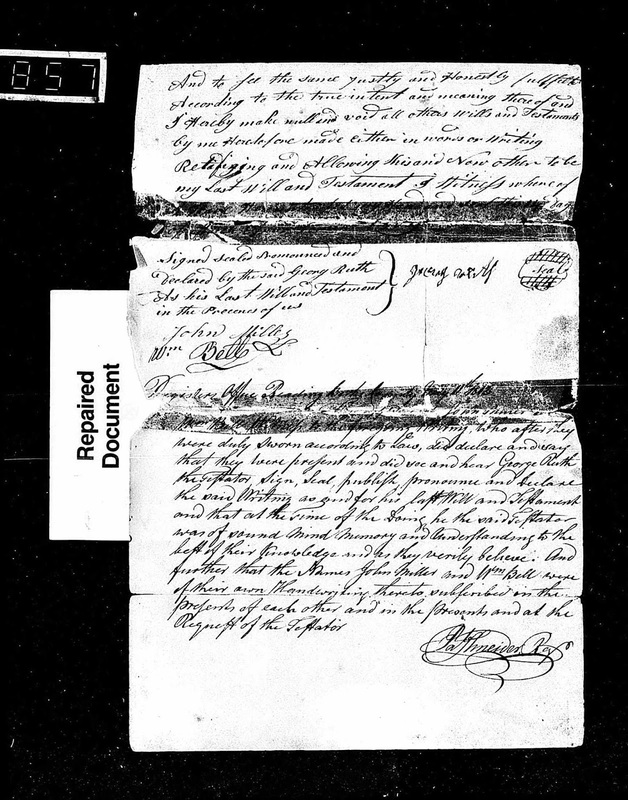 "Pennsylvania Wills and Probate Records, 1683-1993," indexed records and digital images, Ancestry.com (https://www.ancestry.com : accessed 16 March 2019), Berks > "Probate Estate Files, Rothermel, Sophia - Seibert, George, 1800-1850," images 807-810 of 2401, George Ruth will, proved 11 May 1813. 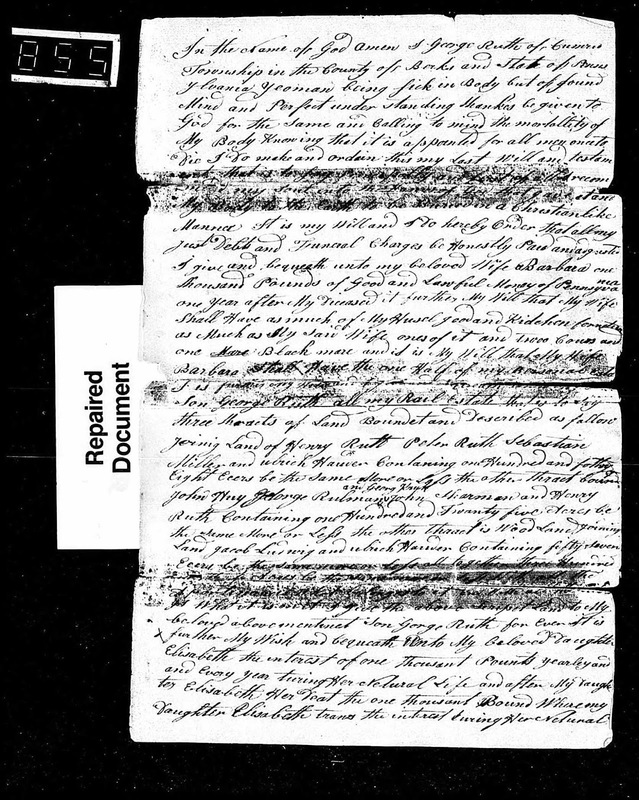 In his will (the date of writing is obscured by the tape on the pages), George Ruth names his wife (Barbara), his son George Ruth (born about 1775), his daughter Elisabeth (born about 1779) and her son Peter, and his daughter Catherina (born about 1770), wife of Jacob Konig. 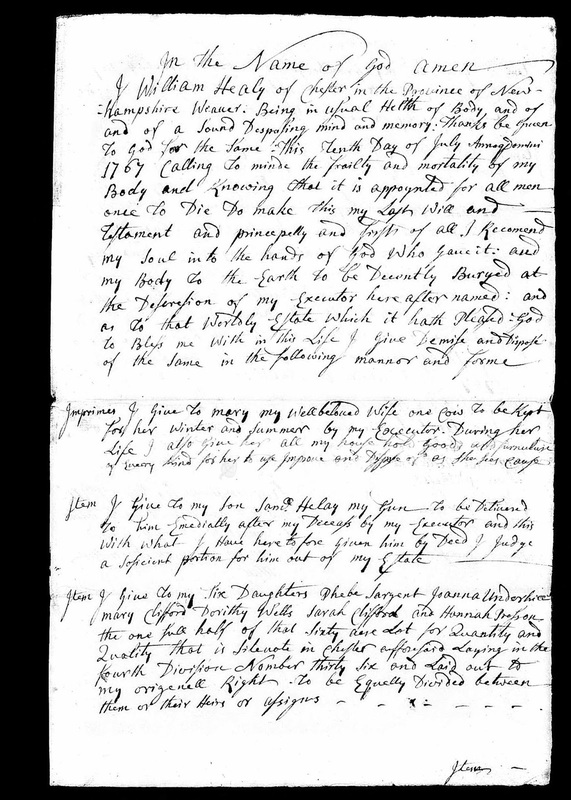 George Ruth (1740-1812) is the son of Johann Peter and Eva Catherina (Meyer) Ruth of Berks County, who migrated from Germany in the 1730s to Pennsylvania. . George married (1) Anna Maria Dorothea Bentz before 1740 in Pennsylvania, and (2) Barbara Krum before 1812. 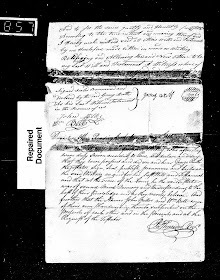 The mention of daughter Catherina, wife of Jacob Konig, is of paramount importance to me, because Philip Jacob and Catherina (Ruth) Konig are my 4th great-grandparents. 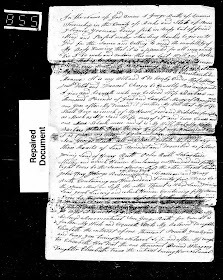 They married before 1789, probably in York County, Pennsylvania. Yesterday I listened to the recording of this week's "Monday's With Myrt", including your discussion of how you came across the Will of George Ruth. 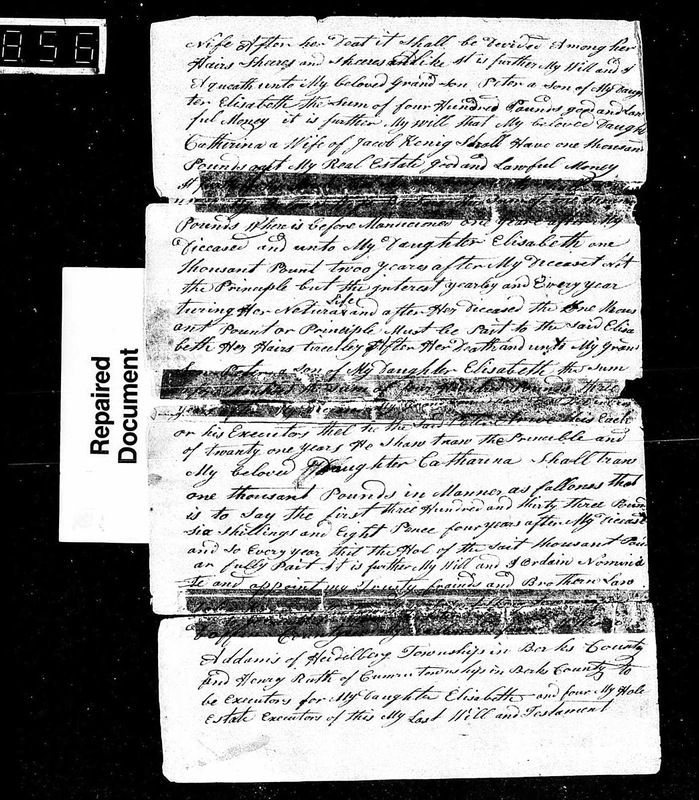 You also mentioned something about records regarding the LAUER family of Saarland, specifically the story of their crossing in 1733. I wonder if you can point me in the direction of those records? My LAUER ancestors also came from Saarland, although they emigrated nearly 100 years later. Thank you.